PARIS, AFP: A restaurant that has held three Michelin stars for half a century was pushed down a rank Monday in one of the biggest shocks of the French culinary guide for 2019. Ahead of the new edition’s unveiling Monday afternoon, Manager Danielle Baumann Haeberlin confirmed the bad news for the Auberge de L’Ill, calling it “a sad day for the Alsace” region where the family has run an inn for 150 years. “After 51 years of three stars, I learned on Sunday that I had lost the third,” her brother, Chef Marc Haeberlin, told France 3 Alsace television. “It’s hard for the team, it’s hard for everyone – the customers, the family – it’s very hard,” said the chef, a champion of contemporary Alsatian cuisine. “I’m terribly disappointed. I can’t understand it at all,” said Veyrat, who only earned the third star last year. “I will stay combative and present with the team in my kitchen,” Veyrat said, blasting the decision as “unfair”. 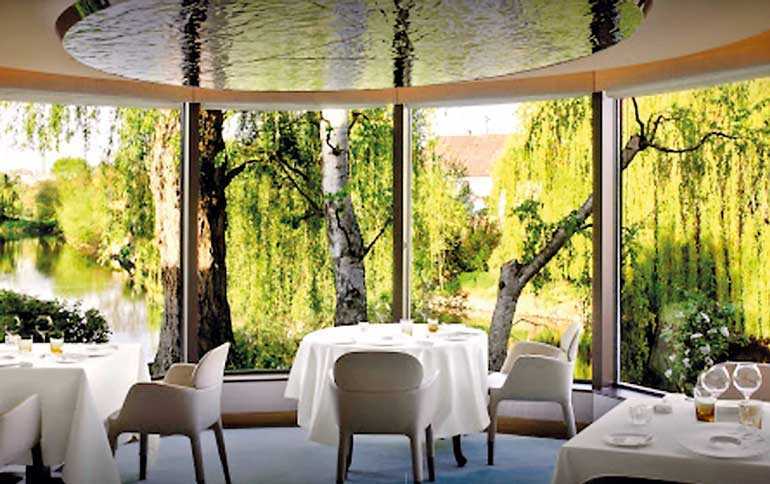 Pascal Barbot, whose Parisian restaurant l’Astrance has held three stars for 11 years, is also dropping down a notch to two stars in 2019. The guide’s new International Director Gwendal Poullennec had promised to breathe new life into its pages, celebrating more female chefs and young talent. Michelin’s feared reviewers have “managed to unearth talents in all corners of France” for the new edition, he promised.